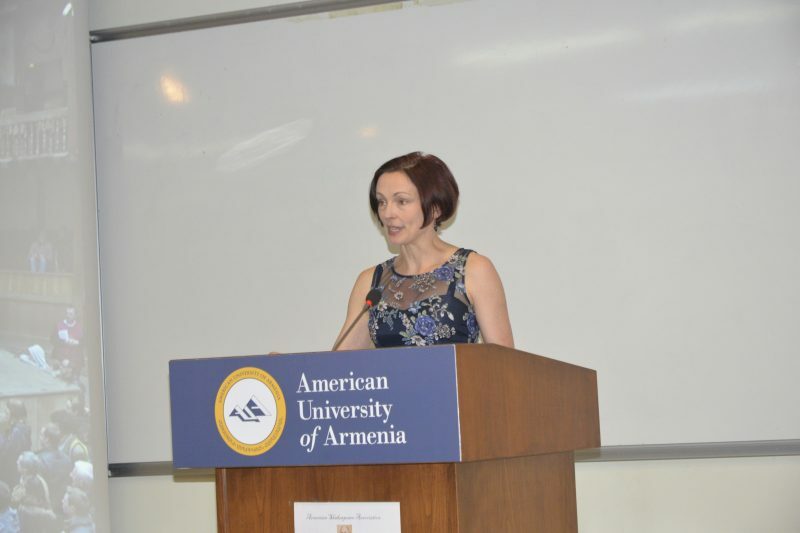 YEREVAN, Armenia – From September 30 to October 3, the American University of Armenia (AUA) hosted and participated in the International Shakespeare Conference, which was co-organized by UK-Armenian Shakespeare scholar Jasmine Seymour in junction with the Armenian Shakespeare Association and Yerevan State University Faculty of Western Languages. The conference was entitled Shakespeare 400: the Enigma of Endurance and was dedicated to the 400th anniversary of Shakespeare’s death. 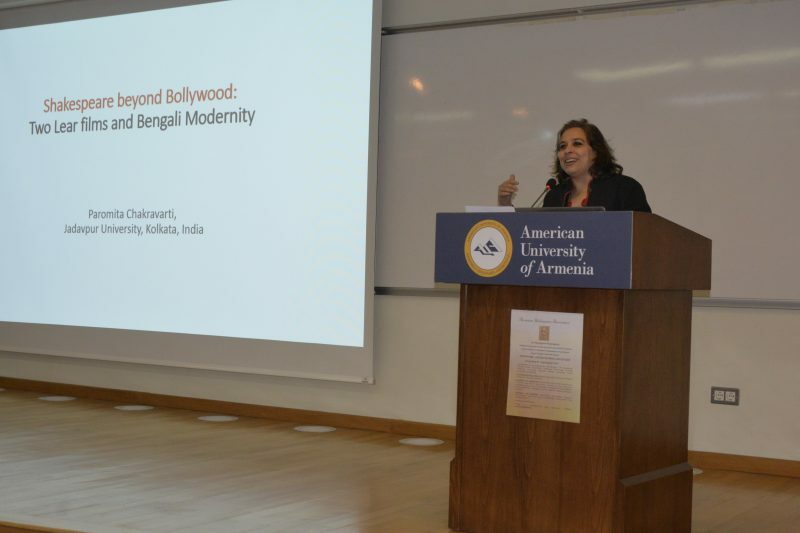 On Friday, the opening ceremony of the conference took place in AUA’s Akian Gallery. 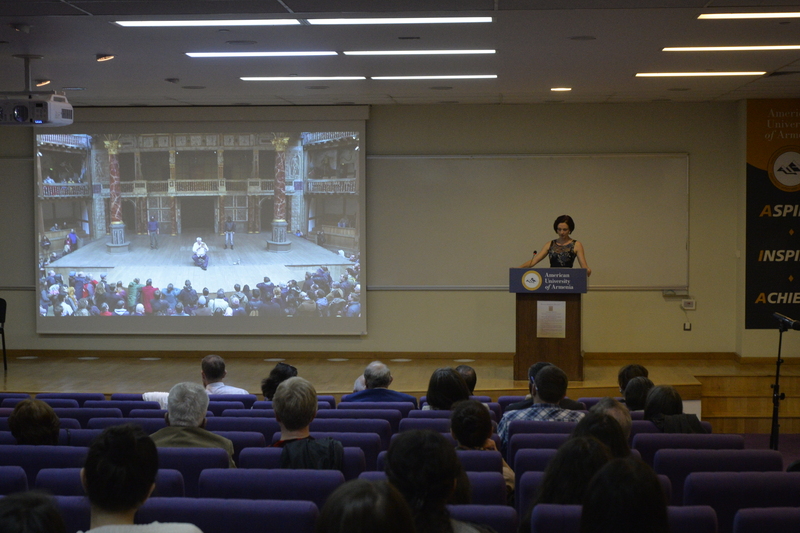 The three-day events included a series of notable seminars, which addressed Shakespeare in performance and in translation, Shakespeare and the Renaissance Drama, the impact of Shakespearean drama in Eastern and Southern Europe, as well as other topics. The conference gathered renowned Shakespeare experts from around the world including Dr. Jason Burg (UK), Pr. Paromita Chakravarti (India), Mufeed A. Al-Abdullah (Oman), Hasmik Jasmine Seymour (UK), Pr. Charles Fairbanks (USA and Georgia), Xenia Georgopoulou (Greece), Dr. Zorica Becanovic (Serbia), Pr. Emil Sirbulescu (Romania), Pr. Kang Kim (South Korea), and Dr. Mika Ellington (Japan). 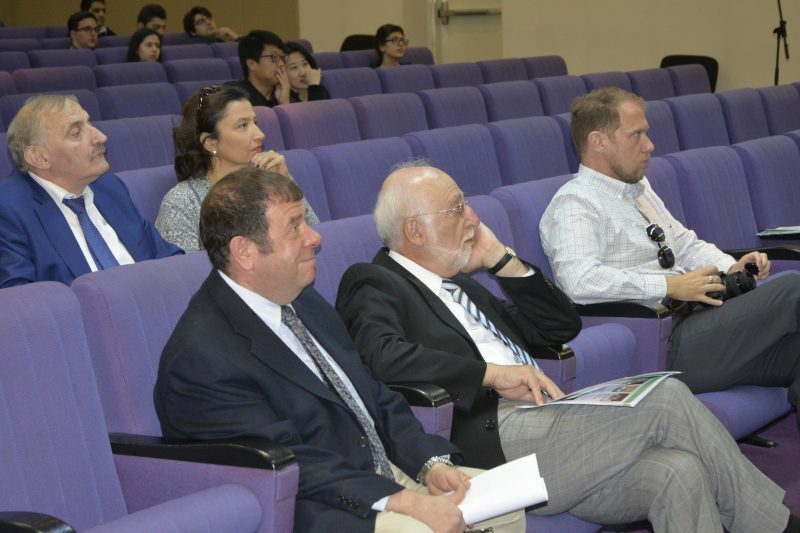 Local experts were also in attendance including Dr. Naira Shahvaldyan, Pr. Sona Seferian, Dr. Vardan Vardanyan, Dr. Nathalie Gonchar-Khanjyan, Dr. Vahe Arsenyan, Dr. Anush Sedrakian, and Dr. Anna Khatchatrian. On October 3, Her Majesty’s Ambassador of Great Britain to Armenia, Judith Margaret Farnworth, attended the conference and delivered opening remarks, which were followed with presentations by keynote speakers Dr. Thomas J. Samuelian, Dean of AUA College of Humanities and Social Sciences and conference co-organizer Dr. Katherine Hennessey. The AUA College of Humanities and Social Sciences was proud to have participated in the conference, which brought together many brilliant literary minds from around the globe. The University was also pleased to note a high amount of student participation and is intent on continuing to be a platform for such gatherings.